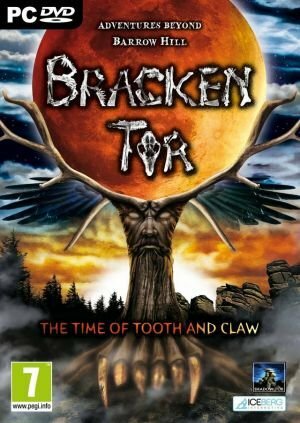 Fans of Barrow Hill have long been waiting for its pseudo-sequel Bracken Tor: The Time of Tooth and Claw, and at this year's gamescom we were able to meet with Matt Clark and have him show us the game that will once again allow players to explore the spooky goings-on of the Cornish moorland. While we didn't actually get to play the game ourselves, we saw more than enough gameplay footage to put minds at rest that this will be a worthy successor. In Barrow Hill, players stepped into the boots of a stranded stranger who ends up following the trail of archaeologist Conrad Morse, using various gadgets and learning about the local legends and myths surrounding the hill. Bracken Tor will continue a lot of the same themes as the first game, its plot revolving around a journalist camped out on the moors hoping to photograph an elusive beast, a scoop that will land him a front page story for the paper he works for. Not only is the beast itself an enigma, but its appearance has been surrounded by strange events ever since the first reports in 1965. At that time an archaeological dig was taking place on Bracken Tor, but all the archaeologists disappeared one night without a trace. Strangely, a group of hippies who were conducting a ritual on the night of the winter solstice in 1965 also vanished under mysterious circumstances. Players will be able to roam the moor in present day, but Bracken Tor also introduces the ability to explore in the past. The two other time zones include the 1960s hippy commune located in an abandoned building, and the Bronze Age, where a settlement was once situated in the area. Travelling to different time zones is achieved by climbing through a hole in ominous looking standing stones. This adds an exciting new dynamic to the gameplay and should make for some interesting puzzles that take advantage of the time travel element. Several tools are available to help you find the beast, including a laptop and cctv equipment for filming at night. Once the cameras have been set up, you can watch for the beast and as soon as it has been spotted you can begin track it, following the trail it leaves behind and leading you to new locations. You will have a map at hand, on which you can make notes and mark locations to keep track of changes between the past and future. You will also carry a radio with you, which can be tuned to a number of different stations, including the Barrow Hill station with Emma Harry reprising her DJ role from the first game. Not merely for entertainment, this station offers useful clues to help you along you way. As well as hearing Emma on the radio, you will actually get to meet her in Bracken Tor, albeit through the door of her caravan. When underground or in a place where no signal is being received, the radio can be tuned to pick up messages from ghosts, who will reveal more information about the past. In the world of Bracken Tor, the belief is that anyone who disturbs the ancient burial site awakens the pagan gods. The gods will play a large part in the game, as the hippies wrote several books on the subject which were left behind when they went missing. These books will provide helpful hints, as will recordings that can be listened to on a record player. As in Barrow Hill, history is a major element of the game and there's plenty of information available for anyone interested in exploring the site’s background in more detail. Most of it isn’t necessary to proceed, but it’s there for those with an interest in archaeology. In the demo we saw, the puzzles were brief but nicely integrated. Some are fairly basic and standalone in nature, like manipulating a series of skulls to cross a chasm (the solution changing each time) or lowering a ladder in order to reach another part of the environment. These are intended to attract more casual gamers ready to make the leap to a full-fledged adventure and need easing into the genre. That notion may ring alarm bells for experienced adventure gamers, but such puzzles play only a small role in the game, which mostly maintains a traditional adventure focus throughout. Another puzzle we saw involved restoring a grave site in the past using information from archaeological digs in the future, which gives some indication how the time travel will impact problem-solving. As well as the time factor, Bracken Tor will also take its protagonist on a kind of hallucinogenic vision trial, where you will be presented with cryptic puzzles. In these segments, puzzles will require the player to do things like identify animal sounds and work out what astrology symbols mean to find a solution, which should be familiar to fans of the original game. While most of your time will be spent alone, players will be able to communicate with a spirit, which can be contacted via a special necklace. The spirit belongs to a flamboyant archaeologist who was a member of original team that went missing. This spirit will act as a guide to help out in times of need. Along with new locations like the burial site, Bronze Age village and the hippy commune, those who played Barrow Hill will get to revisit familiar areas such as Emma Harry's caravan, the gas station and the garage. These don’t exist simply to relive fond memories, however, as there will be new parts of them to explore, not seen before. What really came across from the preview was how rich the environments are and how laden everything is with meaning, from the graphical detail in books such as “The Dark Path” to clues hidden in the soundscape itself. One thing that became clear when talking to Clark was the amount of research that went into making the game feel authentic. There are plenty of locations based on real-world settings, and we were shown images of real dig sites which influenced the design. Even the stones used to travel to the past were inspired by actual standing stones in Cornwall, where myths say that on certain nights looking through them offers a glimpse of a different place. Clark went so far as to take the voice actors out to these locations to get a proper feel for what their characters were going through. This material isn’t going to waste either, as a making-of featurette is being planned that will take fans on a tour of the areas that inspired Bracken Tor. Graphically the game is very impressive, with all locations pre-rendered but benefiting from ambient effects such as an eerie fog that helps brings the world to life. The settings are immersive and stunning, with each era having its own unique feel, particularly the Bronze Age, with its snow-covered woodlands and atmospherically lit buildings. The backdrop captures the same creepy atmosphere as its predecessor but is visually improved this time around. Moving around works much like in Barrow Hill, as it is once again node-based in first-person, but players can only move left, right, backwards and forwards rather than pivoting on the spot like last time. Matt Clark didn't have an estimate of a play time, but he did say he was struggling to fit the game on a single DVD, and Bracken Tor does indeed look like a substantial experience. 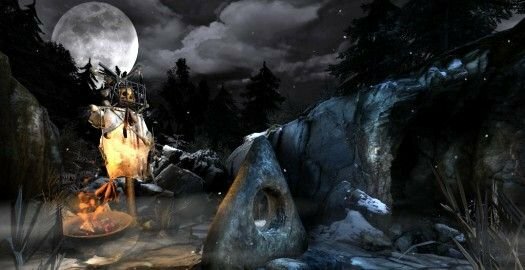 The adventure doesn't end here, however, as Wychwood Hollow was also unveiled at gamescom, which will take place in and around the same locations. For now though, the focus is on Bracken Tor, which is currently on track for October 28th, just in time for Halloween. It’s been delayed several times, but what Matt showed us was enough to make me believe that it will be worth the wait, having all the essential elements that made Barrow Hill so great as well as some new and original features that should make it another memorable adventure. Looks great! Can’t wait for this. Me neither! It’s good to finally get more info about the game. One question: what does a Stone-Age atmospherically lit building look like? Looks really promising! Loved Barrow Hill, so I’m definitely looking forward to Bracken Tor! I really liked Barrow Hill, though I thought the ending was disappointing. Hopefully i will find time to play Bracken Tor. Fingers crossed for it being really good etc.